Flameskill are specialist Helideck Fire Safety providers and offer advice and guidance on your Helideck Fire and Safety Requirements demanded by CAP 437 and CAP 789 regulations, which outline requirements for providing equipment, extinguishing media, personnel training, and emergency procedures for offshore helidecks on installations and vessels. We listen to our customer requirements, then design, build, manufacture, install and commission, complete turnkey Helideck Fire Solutions to CAP 437 and CAP 789. We have incorporated many cost saving solutions to make sure your are fully compliant, but also save money. Fixed Fire Monitor System for NUI Helidecks as per CAP437 Edition 8. Foam-making equipment should be of adequate performance and may include a Fixed Monitor System (FMS) or Deck Integrated Fire Fighting System (DIFFS). The minimum capacity of the foam production system will depend on the D-value of the helideck, the foam application rate, discharge rates of installed equipment and the expected duration of application. CAP 437 gives an example of how the application rate can be calculated. Flameskill can conduct on site surveys to help if required. 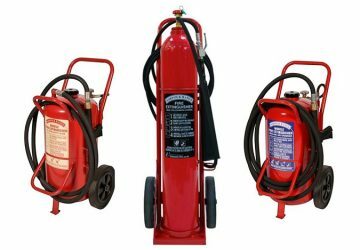 In addition to a Fixed Foam System, as mentioned above, it is a requirement of CAP 437 to provide portable firefighting equipment. 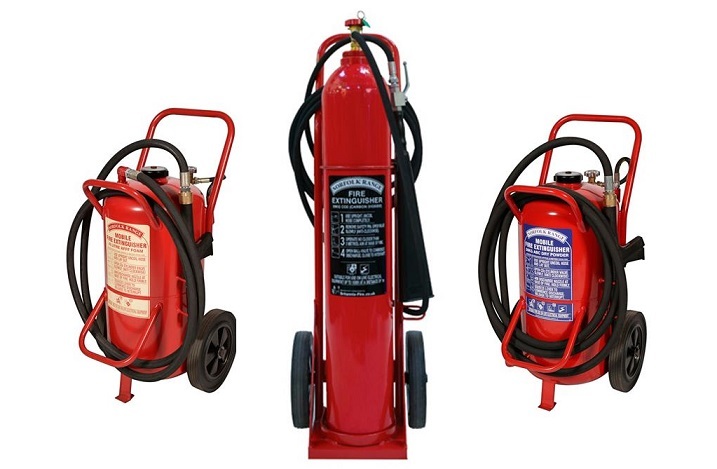 This will include hand-controlled foam branch pipes, delivery hose, foam concentrate, foam induction equipment, and wheeled-type powder and CO2 extinguishers. All this equipment can be found on our Product pages. CAP 437 outlines the firefighting requirements necessary, and Flameskill are able to offer help and support in this area. The CAA strongly recommends the provision of at least the following equipment (see data sheet). Sizes of the equipment are not detailed but should be appropriate for the types of helicopter expected to use the facility. A responsible person should be appointed to ensure that the rescue equipment is checked and maintained regularly. 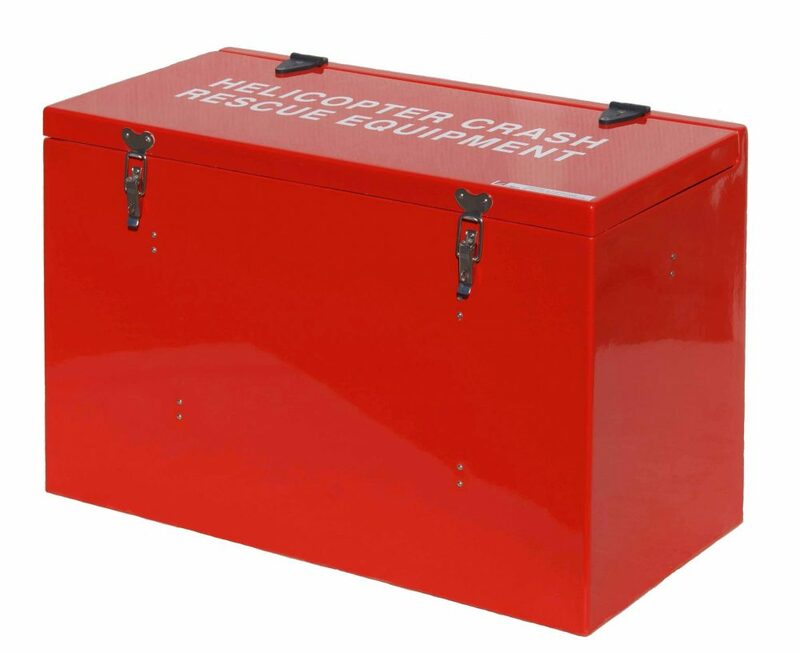 Rescue equipment should be stored in clearly marked and secure watertight cabinets or chests. 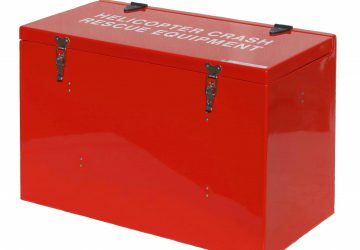 An inventory checklist of equipment should be held inside each helideck crash rescue equipment cabinet/chest. All responding rescue and firefighting personnel should be provided with appropriate PPE to allow them to carry out their duties in an effective manner. Flameskill provides quality Personal Protective Equipment to the very best standards, including fire suits, fire helmets, fire gloves, fire boots and flash hoods. Flameskill supplies and installs a complete turnkey solution for Frictape Circle & H Netlights, a ground-breaking solution for helideck circle & H lighting. Our innovative, standard-complying approach integrates lights directly into the landing net, making fixed light structures on the helideck surface unnecessary.